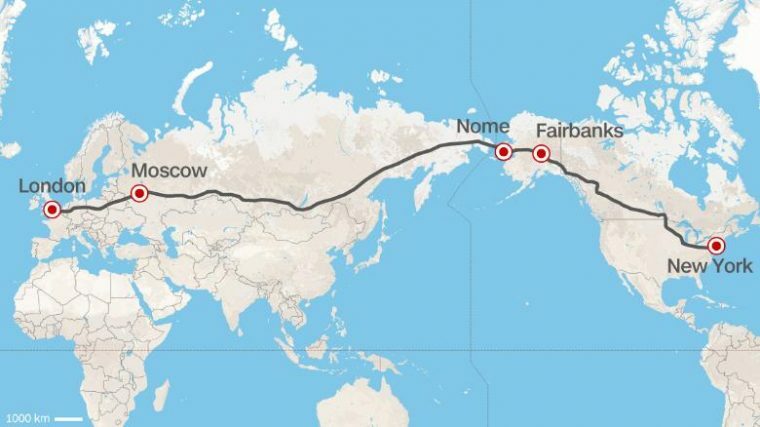 Russian Proposal: What If You Could Drive From London to New York? What if you could drive from London all the way to New York? Yes, that London, and yes, that New York. Yakunin’s proposed plan is called the Trans-Eurasion Belt Development, and would involve the construction of a 12,910-mile highway from London, across northern Europe to Moscow, before driving across thousands of miles of wilderness near Russia’s southern border (following the Trans-Siberian Railway) and out to the very tip of the Kamchatka Peninsula. Then, it is a 55-mile hop (somehow) over to Nome, Alaska, and then 520 miles across Alaska’s empty wilderness to Fairbanks before going diagonally southeast, skirting the Great Lakes, and ending, finally, in New York. The proposal seems unlikely, especially since, as Yakunin said, the plan would cost “trillions of dollars.” However, CNN reports that there is a potential in for the near-world-encompassing roadway: Yakunin is friends with Vladimir Putin. Yes, 140%-of-the-vote, owns-basically-everything-in-Russia Vladimir Putin. There is also talk of a high-speed railway passing along the same path, which would significantly reduce the time from London to New York. For some reference, traversing the entire highway, without stopping, and driving at 60 mph the whole time, would take very slightly under 9 days. 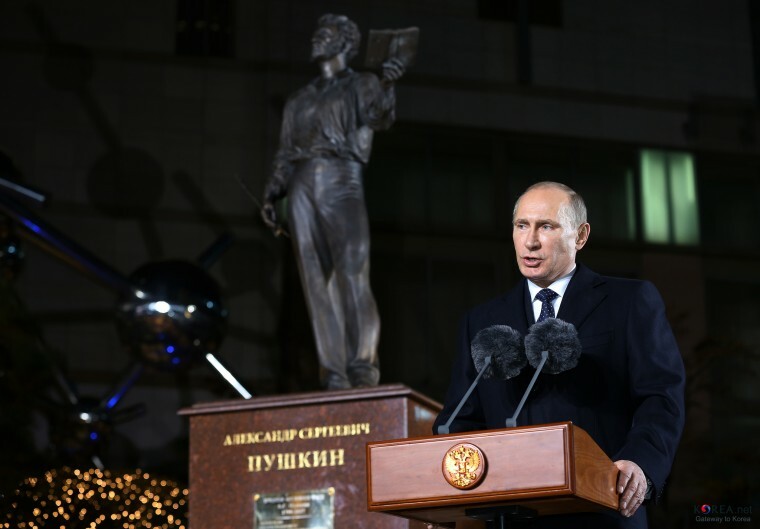 However, whether or not the proposal receives more than Putin wiping his nose on it, it is an interesting idea, and would certainly increase tourism between Asia and North America across the modern age’s Northwest Passage.